Home / Track / Both Boys and Girls Track finish 2nd at the 50th Annual Colerain Invite! The Firebirds turned in a spectacular performance at the 50th Annual Colerain Invite on Tuesday, April 16th. The boys and girls both finished in second place out of 15 teams. Annika Kinley continued her impressive sophomore year by breaking the high jump record again. Annika cleared 5’7 ½. She is now ranked third in the State. The Boys 4×100 torched the field finishing first and turning in a time of 43.3. The girls 4×400 continued to show improvement turning in a time of 4:15. Dylan Jones won the high jump on the boys side clearing 6’0. There were several PR’s. 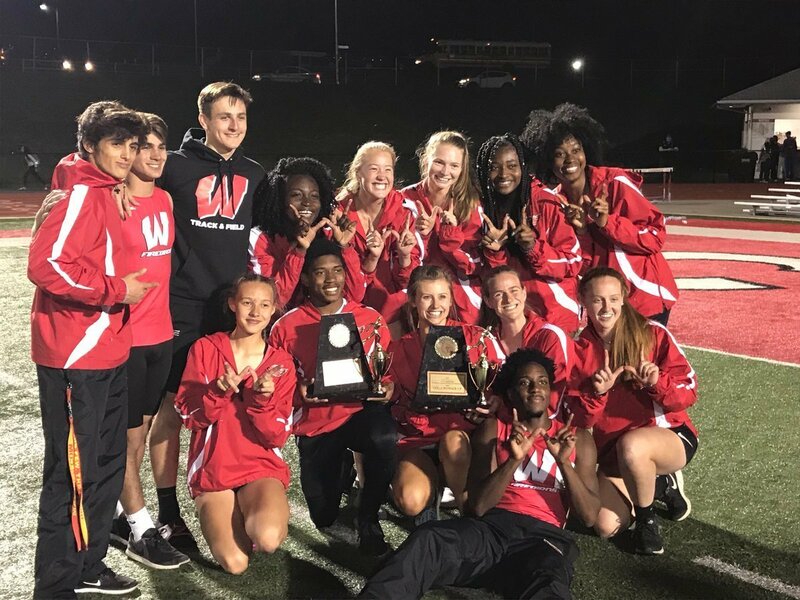 Nick Hjort, Megan Motolik, Ayana Johnson, JJ Ross, Riley Meek, Silas Walters, Elsy Prempeh, Hannah Reisenberg, Jess Jackson, Lexi Iles, Jalen Swanson, Molly Fisher, Jake Kieffer and many more had a great meet. All in all, it was a great night for the Firebirds. The Track team is back in action this Friday at the Golden Baton Relays. Start time is 1:00 pm. Next Story → 38 Year Old Lakota High Jump Record Falls!